Whoops! This has a MAJOR spoiler to a past story, Death Match (thanks, Tardis Wikia), but I’m trying to listen to releases as they come out so my backlog doesn’t keep ballooning. I picked a good one to jump in on— fortuitously, since I accidentally skipped the first audio in FDA Series 7. It’s an absolutely classic SF trope, played to perfection by Louise Jameson. Leela wakes up to find she’s a perfectly normal human scientist living in 1978, and her life with the Doctor and the Sevateem was just a very elaborate dream. Some of the people she met in that “dream” are here, too, but they turn out to be her colleagues, Wizard of Oz style. Her life is on the line, literally and metaphorically. But which life? Can’t say any more than that without too many spoilers. Tom Baker has fun playing not-quite-the-Doctor (?) and stepping back into a supporting role for Louise. They’ve come a long way since the days when he would’ve preferred a “talking cabbage.” Some old friends (yep, that’s Dan Starkey) drop in as well. For extra emotional oomph, an old flame of Leela’s turns up for some powerful and moving scenes. 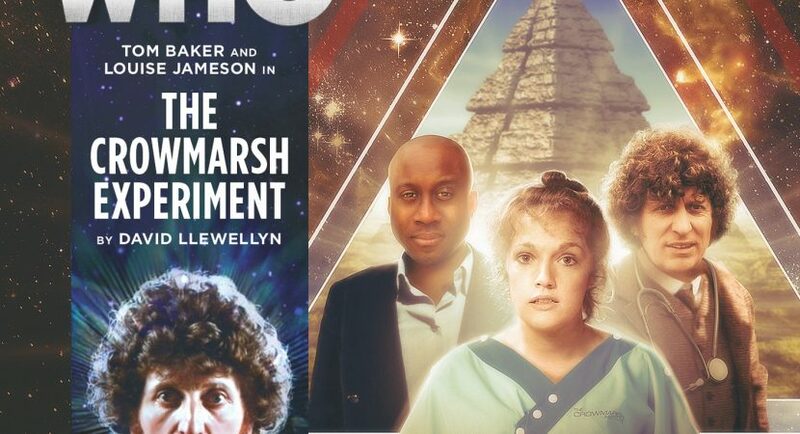 The Doctor isn’t entirely absent from the story, of course. But what he’s up to is just as mysterious as how Leela ended up in this situation. Doctor: It may not be the Savoy, but I think we’ve made it rather cosy. Leela: Why is this happening? Leela: The only reason why I have not fought my way past you and escaped from this place is that this might still be a part of some plan. Although I foresaw the general plot arc from the start, I was enthralled throughout thanks to excellent actors and a character-driven script. Since we know this is not Leela’s real life, the fun is in seeing how she reacts to this virtual reality and how she escapes. Also, like Leela, we don’t know how she came to be in London, 1978. Which is incidentally the year Leela left the series and the year the author was born, according to the extras. Cute. I’m just sorry I didn’t hear the stories with Marshall in the correct order. He’s a great foil for Leela, and I look forward to meeting the real character someday. And of course, the Doctor may not be around much, but he saves her by being terribly clever. As so often. But Leela also knows when he’s pretending to be clever. It was a nice bit of foreshadowing when she calls him on his BS at the beginning of the adventure. I was surprised that Leela never lashed out at everyone promising her that she was safe, that they would take care of her. I suppose it would’ve been too pat to have her love of adventure and danger turn out to be the reason she breaks free. The real resolution was more subtle: a small part of her still wished to be in the dream even when she knew it wasn’t real. That’s a lovely character beat. It’s tricky to give such a strong female character a chink in her armour without it undermining her. I’m glad the dilemma came down to her real, well-established emotional ties to Marshall rather than her suddenly having an attack of wanting kids. Instead, the children don’t seem to affect her much, except to make her angry because she can tell she’s being manipulated. It’s fun to see how the computer keeps trying this way and that way to wear her down and discover what it is she desires so much that she’ll be willing to submit. One can tell it’s happening, and even so, one sees why Leela would succumb (or pretend to succumb, which I thought she was doing, or decide she doesn’t care if it’s real because she wants the reality it’s giving her). Alas, Big Finish almost never lets the Doctor and friends have a clean victory. So Jennifer dies. I wish Leela had asked the Doctor to deliver that message to her daughter. One minor point I’m a little puzaled about: if the virtual reality is built from the memories of space travelers, who would provide a memory based in London, 1978? The Doctor’s explanation wasn’t convincing. Story-wise, of course, it’s more convincing to us that the the virtual reality world is grounded in our real world— sort of, since a lot of listeners nowadays don’t remember 1978!